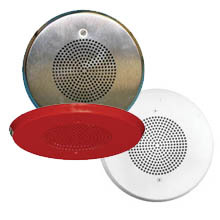 Speaker appliances designed for high efficiency sound output feature a variety of models with ﬁeld selectable input voltage, ﬁeld selectable taps, low profile designs, and wall or ceiling mounting to meet any application requirement. 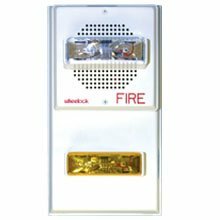 Speaker appliances designed for high efficiency sound output for life safety, voice evacuation and mass notification systems. 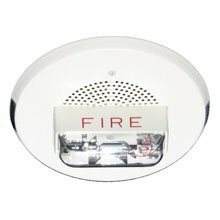 Models feature ﬁeld selectable input voltage, ﬁeld selectable taps and candela settings, low profile designs, and wall or ceiling mounting to meet any application requirement. 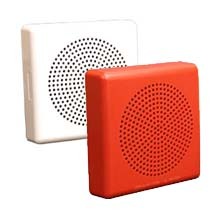 WAVES Supervised Bi-directional Loudspeakers (BDLS-25-30-S and BDLS-70-30-S) provide effective and electronic signal transmission of emergency voice communications and tone signaling. 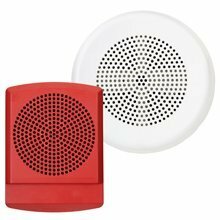 Exceder LED speakers feature industry-leading intelligibility in a sleek modern, low profile design for indoor wall- and ceiling-mount applications. 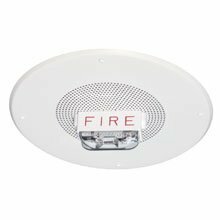 The Series S is an 8” ceiling speaker UL Listed under Standard 1480 for use with the SP40S Supervised Multi-function Communications System. 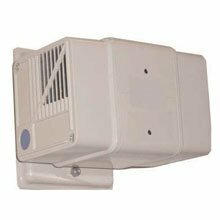 The Series E50 wall mount speakers feature snap-on grills and are designed for high efficiency sound output with ﬁeld selectable input voltage (25/70 VRMS) and ﬁeld selectable taps from 1/8 to 2 watts. 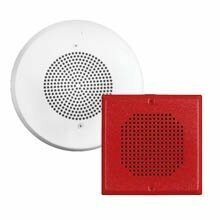 Featuring a snap-on grille, Series E50 and E60H speakers produce high fidelity sound output in a low profile design for indoor applications, where intelligible voice is required. 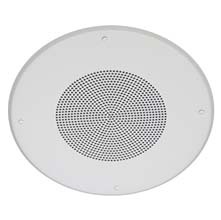 The Series E60 ceiling mount speakers feature snap-on grills and are designed for high efficiency sound output with ﬁeld selectable input voltage (25/70 VRMS) and ﬁeld selectable taps from 1/8 to 2 watts. 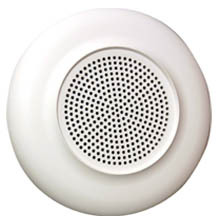 Series E70H and E90H speakers produce high fidelity sound output in a low profile design for indoor wall- and ceiling-mount applications, where intelligible voice is required. 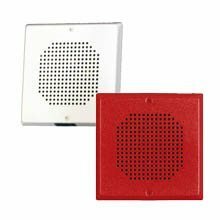 The Series ET1010 speakers offer a rugged and vandal resistant design for high performance and are UL listed for outdoor use. 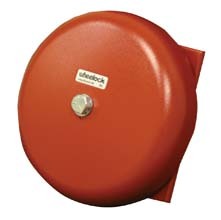 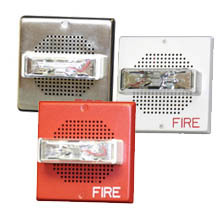 The Series SA self-amplified speaker strobes are designed to meet the critical needs for the life safety industry. 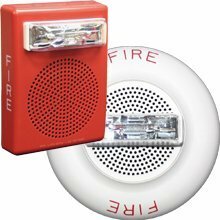 These speaker strobes are a ﬁt for SCIF (Sensitive Compartmented Information Facilities) room applications. 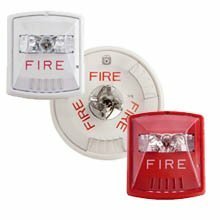 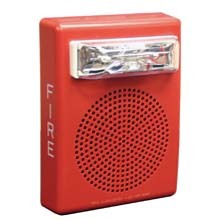 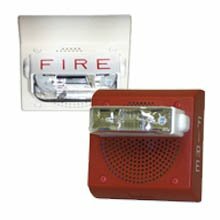 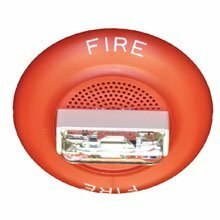 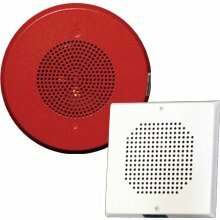 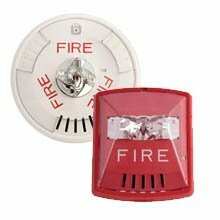 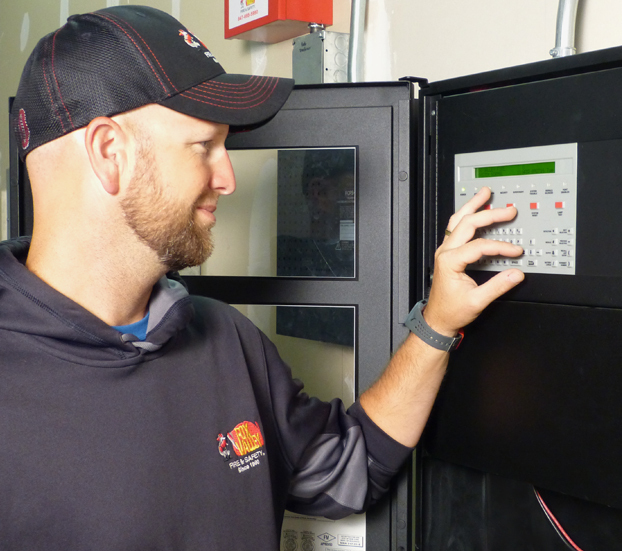 The Emergency Mass Notification Appliance (EMNA) is a combination speaker strobe appliance for both fire alarm and mass notification. 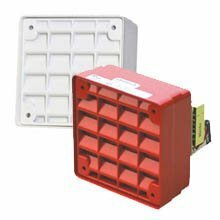 Exceder LED speaker strobes feature industry-leading intelligibility and the industry’s lowest current draw in a sleek modern, low profile design for indoor wall- and ceiling-mount applications. 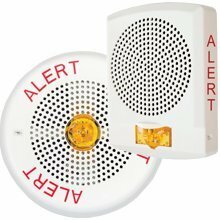 Ideal for Mass Notification Applications, Exceder LED MNS Speaker Strobes feature industry-leading intelligibility in a sleek modern, low profile design for indoor applications. 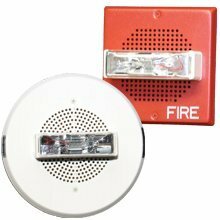 The Series E50 wall mount speaker strobes feature snap-on grills and are designed for high efficiency sound output with ﬁeld selectable input voltage (25/70 VRMS) and ﬁeld selectable taps from 1/8 to 2 watts. 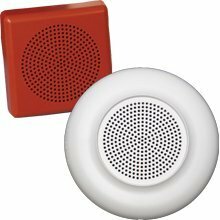 Featuring snap-on covers with no visible mounting screws, Series E50H and E60H speaker strobes produce high fidelity sound output in a low profile design for indoor applications, where intelligible voice is required. 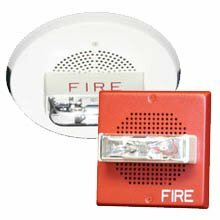 The Series E60 ceiling mount speaker strobes feature snap-on grills and are designed for high efficiency sound output with ﬁeld selectable input voltage (25/70 VRMS) and ﬁeld selectable taps from 1/8 to 2 watts. 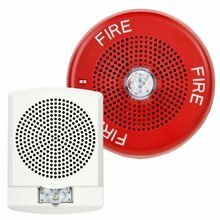 Series E70H and E90H low-profile speaker strobes produce high fidelity sound output in a low profile design for indoor wall- and ceiling-mount applications, where intelligible voice is required. 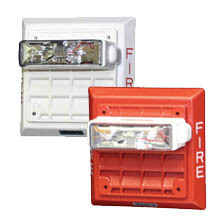 The Series ET80 speaker strobes offer a rugged and vandal resistant design for high performance to meet the critical needs of the life safety industry for voice and tone signaling.